If you’ve read our most recent articles in Ryte magazine, then your website should be poised and ready for top rankings in Google search results, generating more organic traffic than ever before. However, there’s always room for improvement - that’s where Google Ads can help. But wouldn’t it be even better if you managed to increase your traffic during the Christmas season? Google Ads is the best and easiest way of doing this. 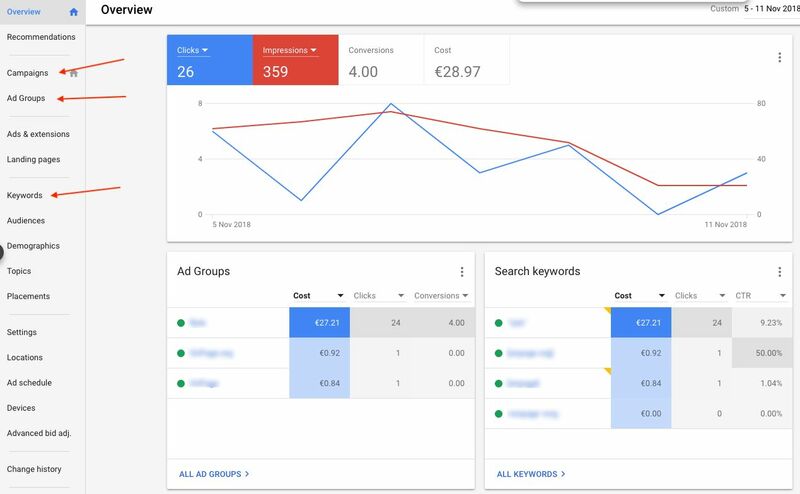 If you haven’t activated Google Ads yet, don’t worry, we’ll show you how you can optimally spend your advertising budget on Google Ads to give your Christmas business a boost. If you have never worked with Google Ads before, you might think it’s something very complex. Actually it’s quite simple: You pay Google a certain amount when a potential customer clicks on your text ad after searching Google for a keyword or keyword combination. These are the so-called “paid” search hits above or below the organic search results of the Google search. In the SERPs, they are marked with the note “Ad” or “Ads” to distinguish them from the organic results. 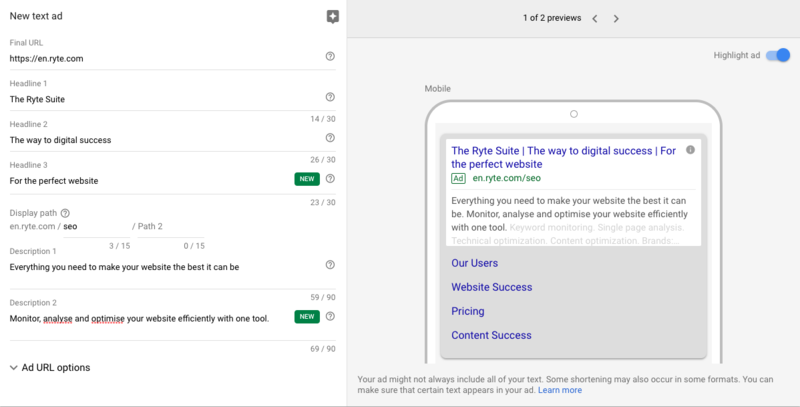 Google Ads text ads are therefore very useful: for a fee, you have the option of having your shop appear at the top of the organic search results page. Many users automatically click on the results shown on top. It usually doesn’t matter to them whether they click on a paid snippet or on an organic search result. All that matters is that the landing page the user clicks on meets their needs. Google Ads work on an auction basis. This determines at which position and whether your text ads appear above or below the organic search hits. For this auction, you put ad texts, keywords and bids on Google. Advertising texts: These are the actual Google Ads. They have a similar appearance to the organic search results. To design the text ads, Google provides you with three lines of up to 30 characters each, including spaces for the ad title. It is shown in blue in the text display. The second element of your text ad is the target URL. It can also provide you with an individual page path so that the URL displayed matches your offer perfectly and the ad becomes even more relevant. After all, Google offers you two lines of up to 90 characters each, including spaces for your actual ad text. Keywords: In order for your text ad to be displayed by Google, you need to select keywords in Google Ads that are supposed to trigger this ad. The keywords should of course be related to the ad content, and to your website. Bid: With the so-called CPC (Cost per Click) you can determine how much money you are willing to spend when a user clicks on your text ads. Figure 2: Keywords and click price bids in Google Ads. With every search query made by a user, Google now accesses the data stored in Google Ads. In order to place a text ad, bid and quality factor are decisive. For a text ad to be displayed, bids must be placed. This affects the so-called “ad rank” and determines whether, and if so, at which position your text ad is displayed. The quality factor is decisive here. This is because every time a search query is entered into the Google search bar, the Google Ads system checks whether an advertising customer has entered matching keywords. Typically, there are several advertisers who have placed a bid for a keyword. Within the framework of an auction, Google’s advertising system decides which advertiser’s ad is placed at which position. The CPC stored and the quality factor of the keyword triggering the ad are relevant to the placement of the ads. The better the quality factor and the higher the bid compared to the other competitors, the more likely it is to be the top ad position above the organic search results. So, once again, what is the quality factor? The quality factor of a keyword stored in Google Ads shows, on a scale from 1 to 10, how relevant a keyword is in relation to the ad text and the target page, as well as the probability that a high click rate will be achieved. In addition, Google Ads uses the quality factor to estimate how good the user experience is likely to be when a user clicks on the ad for this keyword. 1 is the worst value, 10 the best. A high-quality factor not only helps you to have your text ad appear higher up, it can also lower the cost of ad placement. The higher the quality factor, the cheaper the ad campaigns will be, as your text ads will be placed more frequently within your defined budget. The higher the quality factor of your keywords, the more efficiently you can use your daily budget. What do I end up paying for a click? The auction procedure at Google Ads means that you only place one click bid at a time. Depending on the direction of the campaign, this can be set manually or automatically by Google. Only after the successful auction, i.e., ad placement, will you know how expensive a click ultimately was. Let’s say you placed a bid of EUR 1.25 per click. However, since your quality factor is very high and only very few competitors offer this keyword, you ultimately only paid 90 cents for the ad placement. A big advantage of Google Ads is that clicks, and therefore traffic, are scalable depending on the keyword and search volume. If there are high search volumes for certain keywords, you can increase the traffic by increasing the campaign budget until the search volume is exhausted. For Google Ads, however, it is always important that you make the most of your advertising budget. You will learn how to do this in the next step. Good to know: Depending on the option you choose, it may be the case that Google uses a higher CPC for some auctions than the one you’ve set. This means that the daily budget can be exceeded on some days. This is the case, for example, if you have chosen the variant “optimize for conversions.” Google Ads will stay within the monthly budget even if the click prices are sometimes higher. You now know how Google Ads works and what components are required to run ads. The next step is to set up a Google ads campaign. Figure 3: Google Ads dashboard with access to campaigns, ad groups and keywords. Campaign: The campaign controls the focus of your advertising campaigns, defines the daily budget, the type of ad placement and the target region or target groups of your Google ads advertising. Figure 4: Configuration options at the campaign level in Google Ads. Ad groups: Within your campaign, you can create ad groups. They refer to the individual “themes” of your campaign. With ad groups, you can group your ad placements according to the topic. A campaign can contain several ad groups. Within the ad groups, you save your text ads, which will be placed by Google based on the selected keywords. You can also place bids for clicks or conversions at the ad group level, depending on the bid strategy you have chosen. Figure 5: Ad group level settings in Google Ads. Keywords: Now, at the lowest hierarchy level, the keywords come into play again. You’re supposed to be triggering ad placement. You can define keywords for each ad group. Figure 6: Keyword level settings in Google Ads. When you create a campaign for your online shop, the categories you already use in your shop provide the best orientation. You have an online shop for Christmas decorations, which has a category called “Christmas Tree Decorations” with the subcategories “Christmas Ornaments”, “Angel Figures” and “Straw Stars.” After that, you can use the main category as the campaign name. The respective subcategories are then available for the ad groups. For the ad groups, once again you have to select suitable keywords. As a result, your ads campaign exactly replicates the theme and keyword structure of your shop. This logical structure is important, because it makes it easier for the Google Ads system to assign and control your text ads. At the same time, your ads and keywords become relevant to your shop offering, which can increase the quality factor of your keywords. We already explained the advantages of a high quality factor earlier in this article. Often, Google offers its advertisers or local merchants the so-called “AdWords Express.” These are Google Ads that are limited in their functions and options, which almost automatically create ad groups and campaigns based on your website content and a few additional details. For beginners, this offer initially sounds tempting. However, AdWords Express has often proven to be less useful in practice, as automated ad and campaign creation cannot compete with manually created campaigns in terms of efficiency. Something else that is important before you start: You should set goals for yourself. What exactly do you want to achieve with Google Ads? Do you want your shop to receive more traffic? Would you like to advertise certain product groups for the Christmas season? How expensive can a conversion be for Google Ads to be worthwhile for you? You should answer these questions for yourself beforehand, and modify and align the campaigns on Google Ads for your Christmas sales and beyond accordingly. As many users as possible should visit the category XY in my shop. I want to reach as many visitors with Google Ads as I already reach with the organic search results. I would like to advertise my offer in a specific region. Do I need conversion tracking? In order for you to know if your Google Ads are performing well for Christmas, you should track the traffic and conversions through Google Ads text ads. Google Ads offers its own conversion tracking for this purpose. You will need to insert a separate code into the order completion page of your online shop. Depending on the CMS, it may also be sufficient to insert the conversion ID in the website administration. CMS like WordPress or Typo3 offer their own plugins. If you’re already using Google Analytics e-commerce tracking, you can of course compartmentalize your traffic by visitor sources and find out how well your Google Ads perform. In this way, you avoid having to implement an additional tracking code. Google Analytics may be sufficient for tracking the first campaign. However, in order for you to be able to use advanced functions such as conversion bids (CPA bids) in Google Ads, conversion tracking via Google Ads is necessary. Google has compiled everything important on its help pages here. The advantage of this option is that you can use Google Ads to determine, for example, how much you are prepared to pay for a conversion. Google Ads will then align your keywords to achieve as many conversions as possible. Setting up Google Ads is usually self-explanatory. Google Ads leads you step by step to your first campaign. You’ve already learned the basics in this article. Let’s get to the finer details now. Important: Even if you select “Search network” as the campaign type when you start your first campaign, Google will activate the display network in the next step. For your first Christmas campaign, however, this is not really the best way for you to achieve your goals. This is why you should deactivate the “Display network” option there. Figure 7: Disable display network during campaign setup in Google Ads. Many newcomers to Google Ads want to get started right away. However, it makes sense to review all settings before you start. A simple trick to do this would be to pause the campaigns. This way you make sure that your budget is not used up by clicks before all of your settings are correct. To keep track, you should only use one keyword per campaign. For example, it makes no sense to call a campaign “Christmas Decoration/Christmas Tree Stand.” Here you should set up a campaign with “Christmas decoration” and “Christmas tree stand.” Google Ads will then not only be able to better match your ads, you will also have the option to customize your campaigns even more. So that you can better analyze the campaigns later and evaluate your Christmas marketing campaign separately, you can also include the remark “Christmas Campaign” in your campaigns for Christmas. You should also only use one keyword at the ad group level. If there are synonyms for a term, you can use them as the main keyword for a new ad group. Use a maximum of 30 keywords for your ad groups. Google Ads always tries to distribute your daily budget optimally among the stored keywords and ads. If you use a lot of keywords, you risk that Google Ads will not place your ads for very relevant terms due to your daily budget. To start with, it is often advisable to use only ten keywords. You can then test them for a couple of days to see how they perform and add more keywords as needed. Google Ads suggests suitable keywords based on a core search term or your website. Use only genuinely relevant terms that match your offer. Important: Use a keyword only once per ad group. Double keywords weaken your performance. Google Ads will also point this out to you if you double-click on a keyword. With the setting “broad match” you can of course ensure a lot of traffic. However, this will allow customers to click on your ads whose search query does not exactly match what you have to offer. In short: The setting “broad match” provides you with many visitors. Due to the lack of relevance for the users, you create a negative user experience and “burn through” money. With the function “search terms” on the keyword level, you have a very powerful basis for analyzing your Google Ads campaigns. There you can see which search terms the user used to trigger an ad placement. Figure 8: Display keywords with Google Ads. Based on this analysis, you can determine with just a few clicks which phrases or words have triggered an ad placement that was not target-oriented (see above example “making Christmas decorations”). You can now utilize the perfect feature to make your campaigns even more efficient: exclude keywords. You can also find the function at the keyword level. This is where you can store excluded keywords for ad groups or the entire campaign. In our shop example, you could set the keywords “tinker” or “do it yourself” as excluded keywords. Your ads will not be displayed if a user uses one of these keywords. 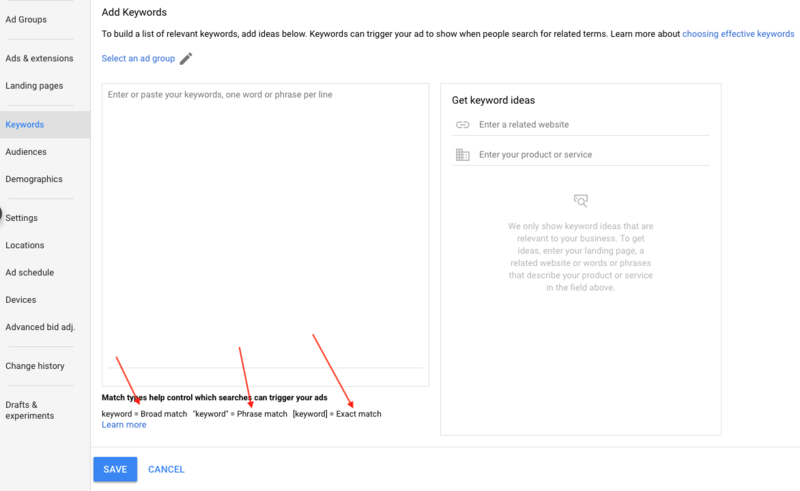 Figure 9: Create keywords to be excluded with Google Ads. You should regularly review your Google Ads. Look especially at keywords that have a very low quality factor of less than 5. You should pause these to improve the overall quality of your account. The advantage: The better you maintain your account, the cheaper the click prices will be in the medium term. Optimizing ad texts may improve the quality factor. Also use the keyword search to search for potentially more relevant keywords for your Google Ads campaign. You should not only keep an eye on the quality factor, but also on the performance of individual keywords. For example, check which keywords do not trigger clicks or only offer a low CTR. You can pause or even delete those. Always use at least three or four ad texts for an ad group. Regularly review which ads perform well and which don’t. Pause the ads with poor performance and try new ads. A very important feature in Google Ads is the advertising scheduler. By default, Google Ads delivers your text ads 24 hours a day. However, it may make sense to exclude certain times. For example, purchases in an online shop between 12 a.m. and 7 a.m. are usually quite rare. To optimize your click budget, you can use the advertising scheduler to specify the times in which your ads can be displayed. It is also worthwhile to check regularly to see at what time most clicks and conversions take place and to modify the advertising hours accordingly. Figure 10: Use Google Ads advertising scheduler to optimize campaigns. Use remarketing lists: Anyone who has visited your shop to get information about your offer is more likely to return there to shop. With remarketing text ads in Google Ads, you can engage these customers again. The advantage: The click costs for remarketing ads are usually lower and the probability of a purchase is even higher. You can find more information about this on Google here. Google Ads extensions as a click booster: You can make your search ads even more eye-catching to increase the likelihood of clicks. For this purpose, Google Ads provides you with plenty of so-called “sitelinks” and additional information. Google has put together a very good overview for you here. 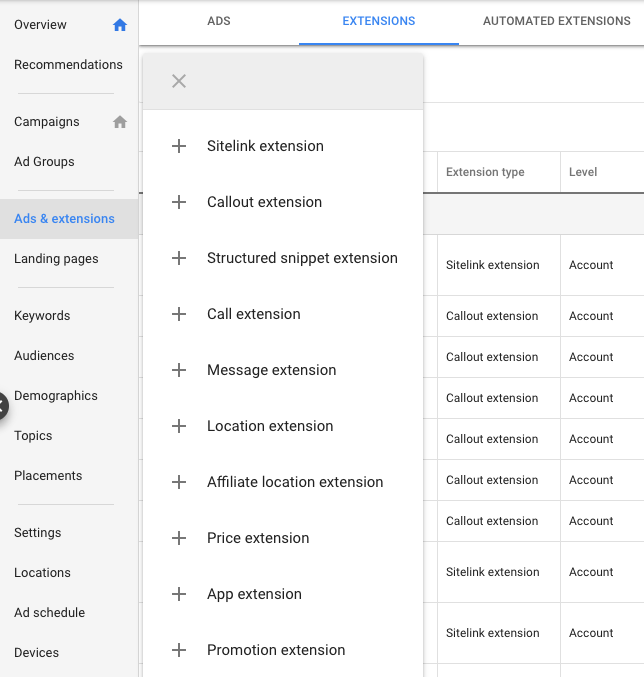 Figure 11: Extension possibilities for Google Ads text ads. Let the Christmas crowds come! You now know what Google Ads are all about and you’ve been given the most important tips for placing text ads in Google SERPs. So now you can get on with it – we wish you lots of success! Published on 11/16/2018 by Philipp Roos.